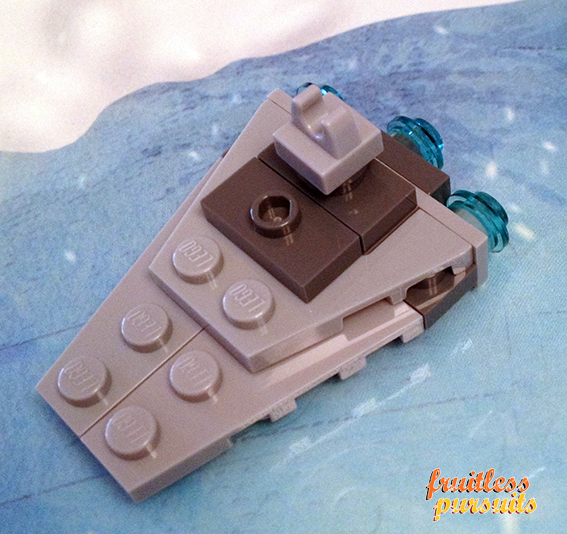 Fruitless Pursuits: Lego Star Wars Advent Calendar 2012, Day 4: Destroy! 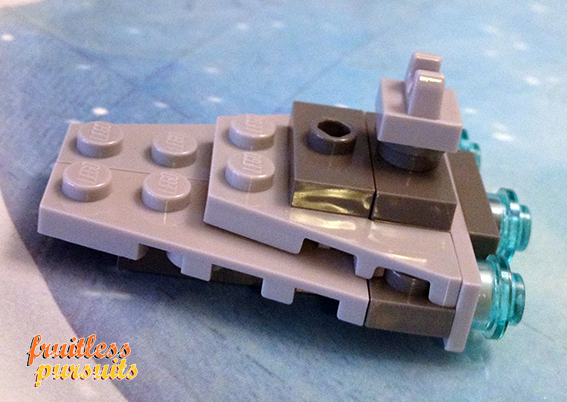 Lego Star Wars Advent Calendar 2012, Day 4: Destroy! It’s Day #4 of our epic showdown between the Lego Star Wars Advent Calendar and the Playmobil “Game of Thrones” Advent Calendar and so far Playmobil is in the lead! Lego has given us a three day run of floppy-eared, half-wit gungan paraphernalia, but can the plucky Danish buggers turn the tide today? Perhaps with something badass from the original trilogy? 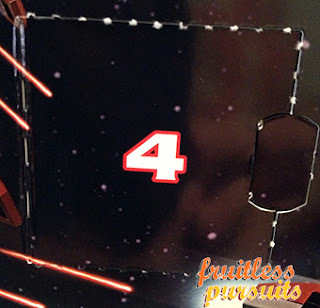 Something menacing is about to barrel out of hyperspace and burst through Door #4! Find out what it is... after the jump! Yesterday we came up with the theory that these gifts would follow a 3-day cycle: a vehicle, a character associated with that vehicle, and an accessory. Were we correct? Yes! 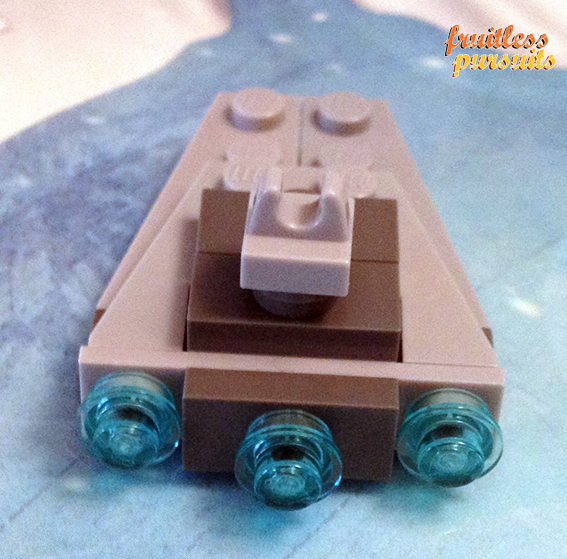 And this vehicle is far more recognisable than that wacky gungan submarine! This is an Imperial star destroyer, featured prominently in all three of the original movies, although I’m not sure which one it specifically is. Maybe it’s a new one? Let’s call it the Molester. I’m thinking that the display options for these micro-sized vehicles are kind of limited, which leads me to a new theory. Perhaps we can attach wheels to the bottom, sit the minifigs on top of them, and stage elaborate Mario Kart style races? Perhaps that fold-out cardboard ice-scape is actually just the first track? Good work, Lego!